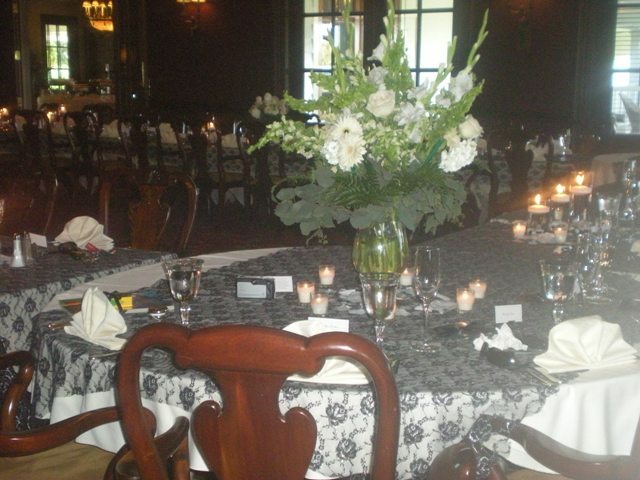 Table settings should be uncluttered. 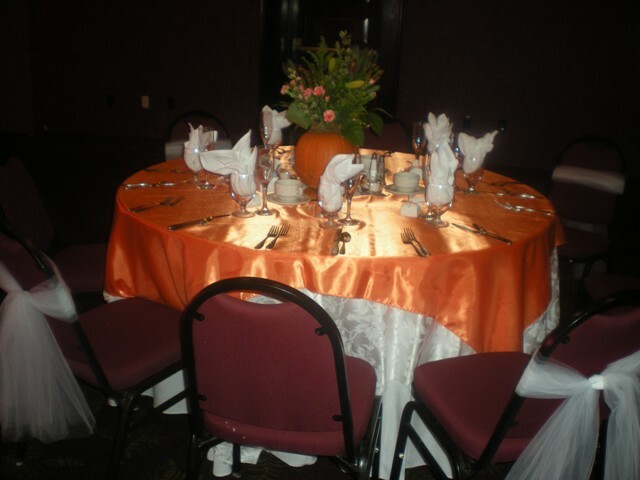 The table will fill very quickly with the centerpiece, butter dish, silverware, sweetners, globlets, dinner plates and favors. 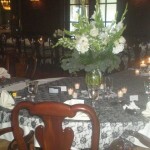 White or Ivory linen is clean and elegant. 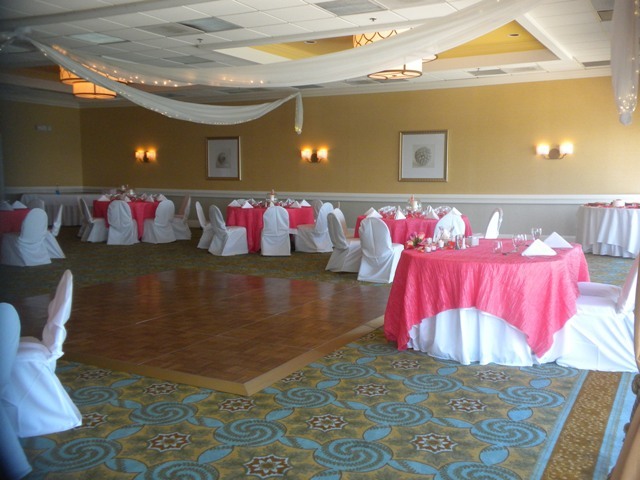 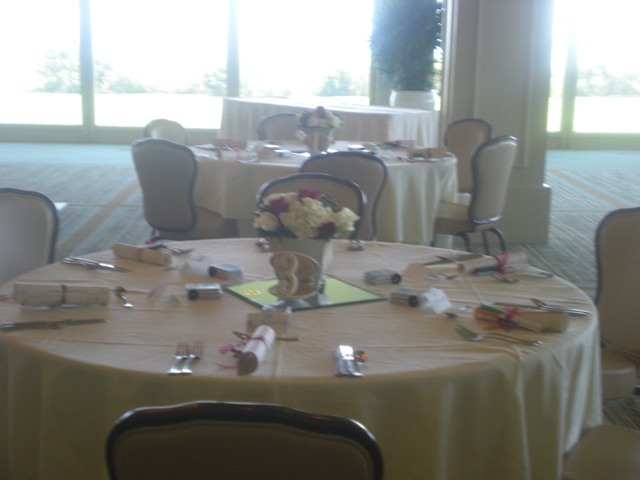 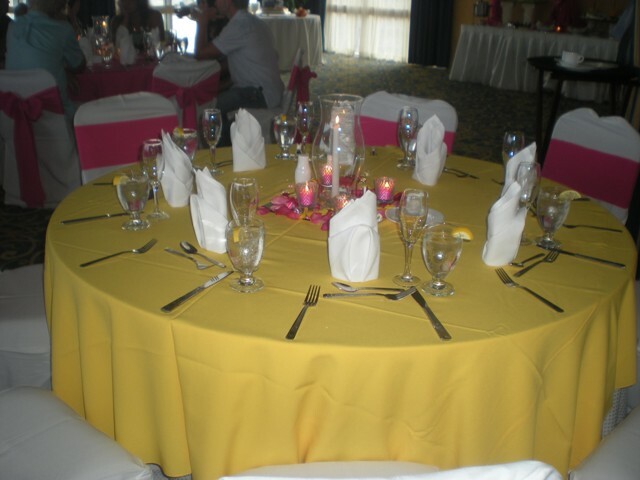 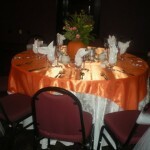 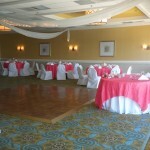 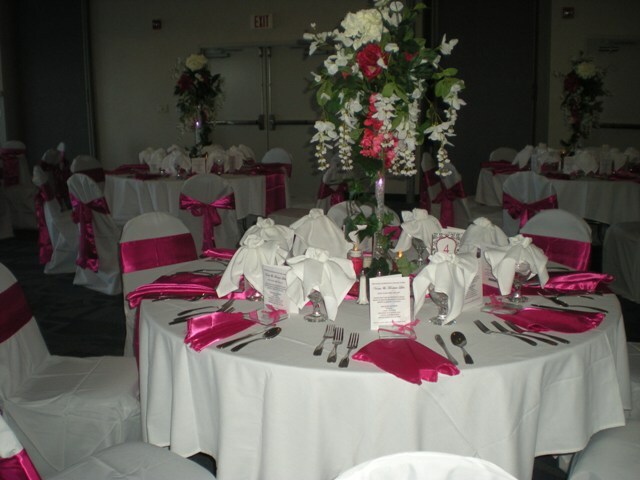 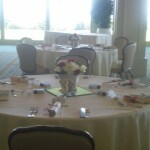 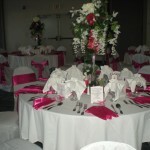 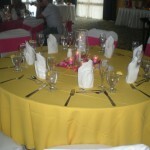 Color can be added with the centerpiece, runners, napkins and overlays if desired.